As a freshman at University of Massachusetts, Amherst, Sue Schweber and a few other students convinced the university to give credits for Jewish history classes. But that was just a beginning. Sue later worked with student and faculty groups to establish the Judaic Studies department. 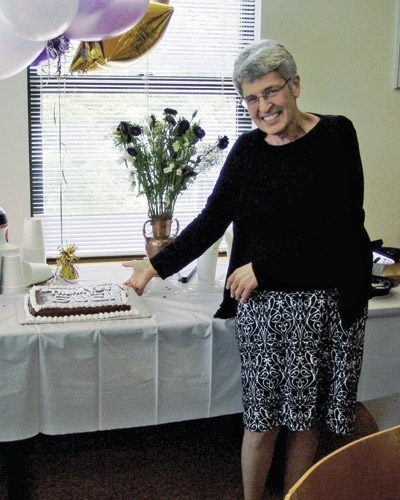 Along the way, she helped organize the school’s kosher kitchen in the student union. That’s who Sue Schweber is, someone who thrives on making things happen against all odds. In 1991 Sue received the phone call that would give her the greatest challenge of her career. It was a Sharon dad named Joel Wine saying he and a few other parents were hoping she’d help them get something pretty ambitious off the ground. They’d heard from Jane Cohen at Schechter that Sue was a speech-language pathologist who loves students with special needs and the challenge of turning vision into reality. What they had in mind: weaving a supportive web to enable kids with special needs to attend Jewish day schools. Meeting with the heads of the three South Area schools, Sue asked them what they were missing to serve every child who comes to them. “The expertise,” they answered. By the time JSEC joined with Etgar L’Noar to form Gateways in 2006, it had doubled to six schools. Now, 165 children in 11 area day schools receive the special education support they need to be able to thrive there. One of Sue’s first rules for administering the growing program was to spend time in the schools. “I knew I had to be there to really understand their culture and their students, their teachers and their needs.” Which is why for most of her years as an administrator Sue insisted on carrying her own speech and language caseload. Now, as she retires from her role as Gateways Day School Program Director, supervising two coordinators and 19 therapists, Sue says she has every confidence the programs she helped build will continue to grow and make all the difference in children’s lives. And she promises to stay on part-time as a consultant.